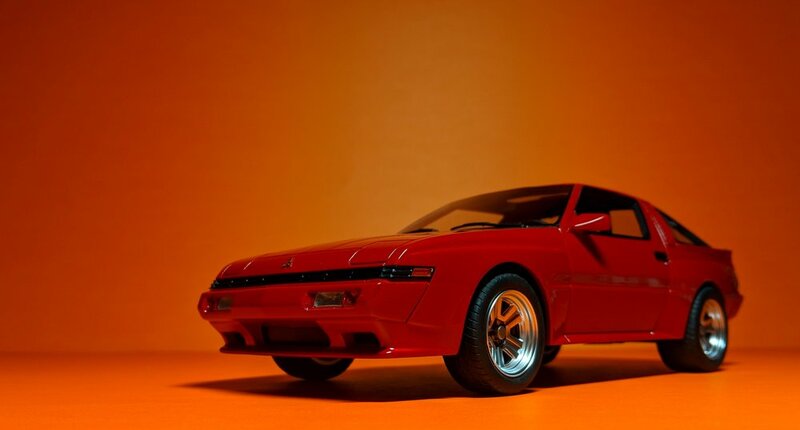 The average person has never heard of this car, but within the automotive circle, the Mitsubishi Starion’s reputation precedes itself. 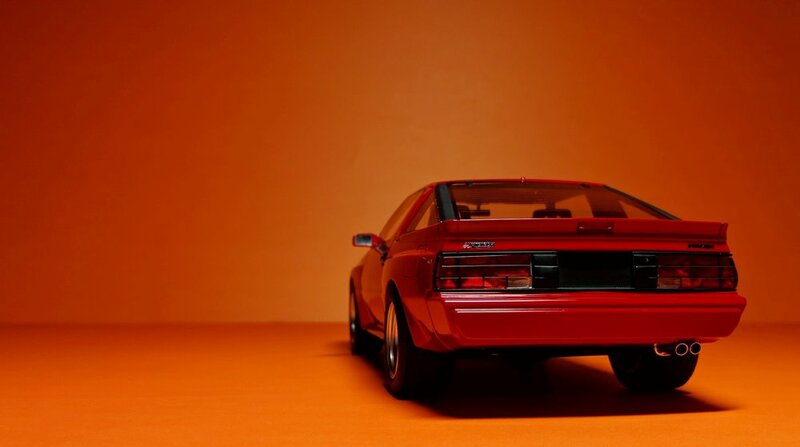 The 80's was an era defined by boxy, hatchback-styled, 2-door sports cars, and the Starion was the prime (and, arguably, the pinnacle) example of that. In a field consisting of fellow contemporaries such as the Mk.III Supra, FC3S RX-7, Z31 Fairlady, and the Porsche 944, the Mitsu stands out among the crowd by way of its aggressive and muscular looks to match its equally beastly performance. 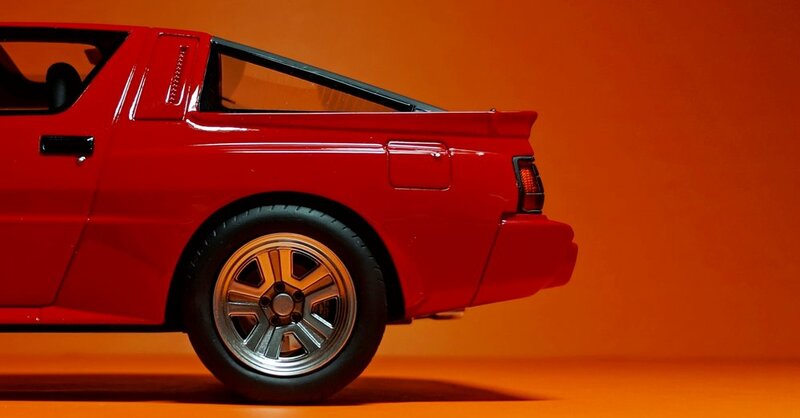 The Starion was available as narrow and wide-body formats, and this one here represents what we affectionately call the “fatty”. Distinguishing the two is easy as all you need to look for are the pronounced fender flares. Compared to the “flatty”, this is the more appealing body style, so it’s only right that they modeled it as such. LS Collectibles is the first maker to take on this cult classic in 1:18 scale, a welcome relief for the niche fans and those who love things out of the ordinary. By the way, LS stands for “Lucky Star” and the name Starion is apparently a shortened form of “Star of Orion”. Pretty sure that’s just a coincidence, though. Because they’re a sub-brand of Top Marques (which, itself, is a sub-brand of BBR - yes, that BBR), you can expect that their models are not snoozers. The detail is on par with its similarly-priced resin competitors in GT Spirit and Top Speed, and the fit and finish is solid. By that, I mean things like glue marks and trim paint - both of which are downright tidy on this Starion. The body lines, panel gaps, and auxillary pieces (i.e. lights, wipers, etc.) are sharp, but that may or may not be the Starion’s squarish shape subconsciously feeding my brain. Paint quality is also solid, though I’m not a huge fan of LS Collectibles’ color palette in general. The Starion does look good in red, though. Each model comes packaged in a sturdy cardboard box and attached to a silver plinth. You have to cut open the layer of felt under the base in order to access the screws and take off the model, a characteristic shared with Top Marques and BBR. It’s a little extra work, but freeing the beast from its cage is the only way it should be done. Actual grilles won’t be found here, and interior amenities are kept to a minimum, but that’s typical of resin models in this class. The rest of it is faithful to the real car. Proportions are accurate here; let’s keep in mind that this is a bone stock Starion, not a modified and slammed one. The badges and wheels are strong points of this model. Some other smaller details to appreciate are the shiny brake discs, the metallic finish on the exhaust, and the inclusion of the rear defroster, all of which come together to complete the look of this Starion.